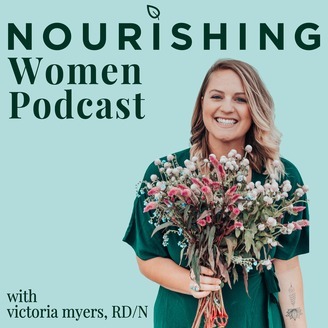 The Nourishing Women Podcast is hosted by Meg Dixon and Victoria Myers. Meg and Victoria are registered dietitians and the owners and founders of the integrative nutrition practice, Nourishing Minds Nutrition. 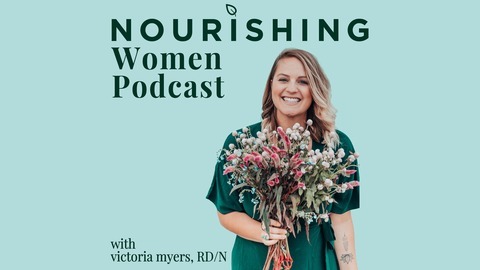 Blending evidenced based research with ancestral wisdom, Meg and Victoria give you real life advice and insights on all things nutrition and wellness to foster the female spirit. They specialize in helping women ditch the diets, heal their digestion, regulate their hormones and learn to balance holistic living without obsession. Ep. 91: Should You Change the Way You View Your Body? CLICK HERE TO SIGN UP FOR THE BODY IMAGE RESET WAITING LIST. Ep. 88: Intuitive Eating, the Female Energy, and Sustainability.